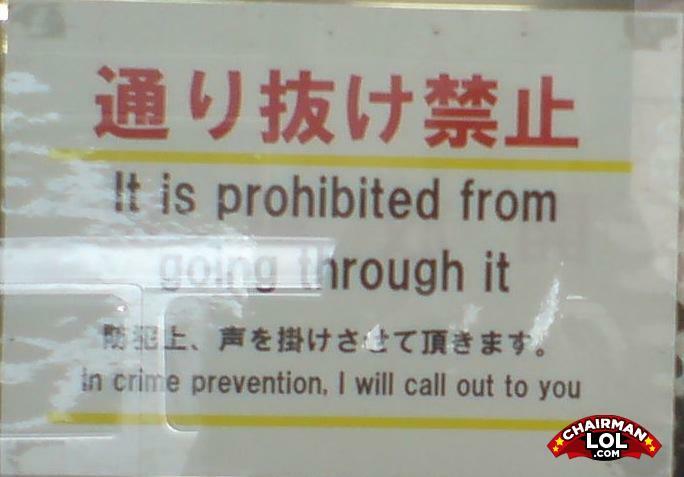 The sign will call you to prevent crime. In sickness and in health, I will call out to you. I swear. It is prohibited from going through it unless It puts the lotion on its skin! Hey you! Not to walk through it!